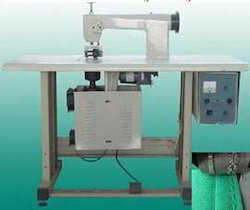 This machine is suitable for cutting various width non woven fabrics, plastic film, paper. 2. Arbitrary fixed-length, photoelectric tracking step label is lost, automatically shut down. 4. Evacuation of material with displacement use switches control..
Environmental protection nonwoven seaming,embossing, hemming and other textile industry,etc. Looking for Industrial Machines ?